English viniculture received a vigorous boost from a Tory MP on Wednesday, who said that UK embassies should serve British – not French – wine. There was nothing watery about Terry Crouch’s comments in Parliament, as she said the Foreign Office should do more to promote British produce. She remembered a recent trip to Taiwan with other MPs where she was served French wine at the British embassy. If Crouch’s comments sound a bit tart, they’re positively mellow compared a letter that Environment Secretary Elizabeth Truss penned to the French foreign secretary. The open letter to Laurent Fabius is in response to reports that the French Foreign Office is so concerned about British culinary successes that it is preparing a campaign to promote French cuisine around the world. 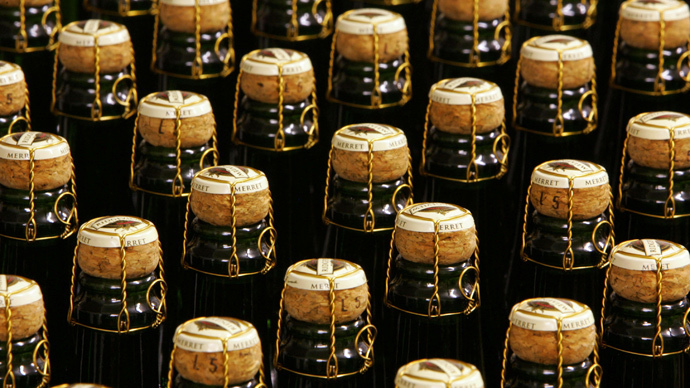 Truss also announced that English wine exports are predicted to break £100 million this year. Brigid Simmonds, chief executive of the British Beer and Pub Association, told the same committee that the domestic beer industry also struggles to supply embassies. “We really struggle to get British embassies to serve British beer. During the World Cup I had a very good discussion with the Foreign Office in Brazil, but we do need to do more,” she said. There are 470 commercial vineyards in England and Wales, which combined make up 135 wine producers, according to the UK Vineyard Register.